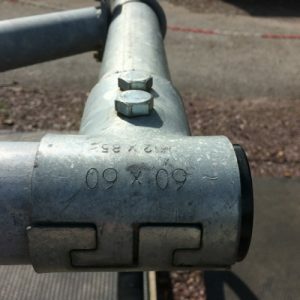 Pipe Sold Separately or Purchased Locally as it cannot be delivered by courier. 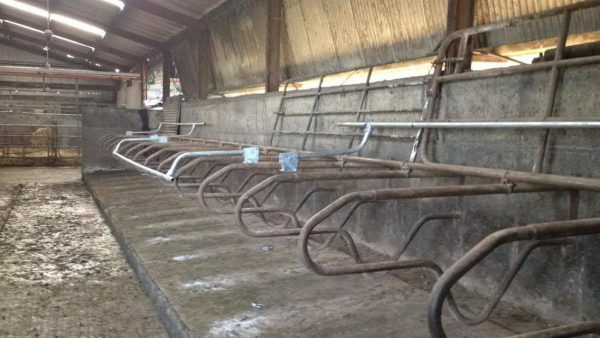 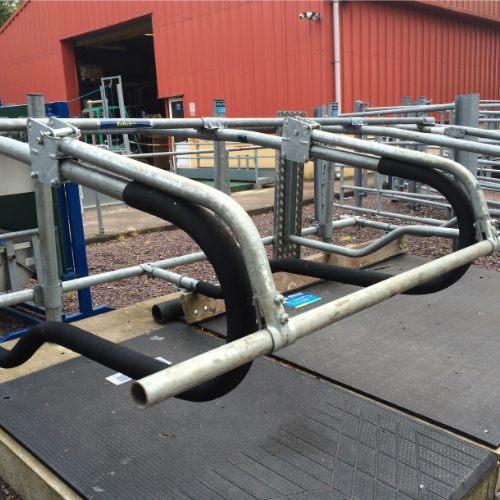 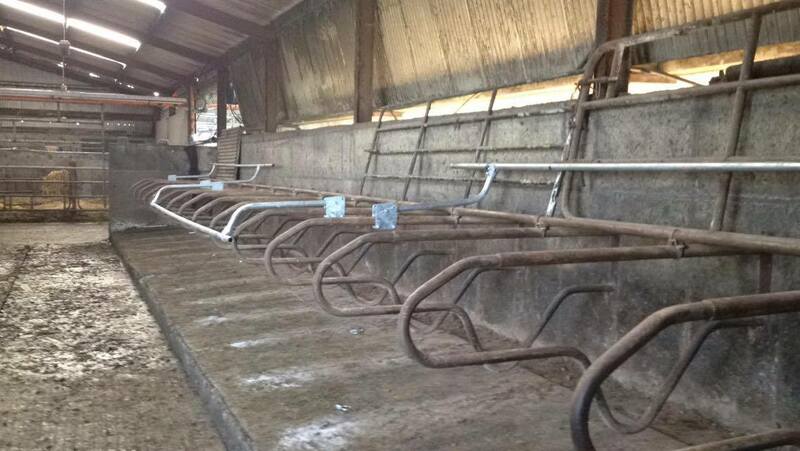 The ‘Cubicle Lockout Arm’ is an arm that is mounted by brackets onto a cubicle and has a pipe joining two arms to prevent cows from lying on the cubicle beds when entering or exiting a parlour through a cubicle shed. 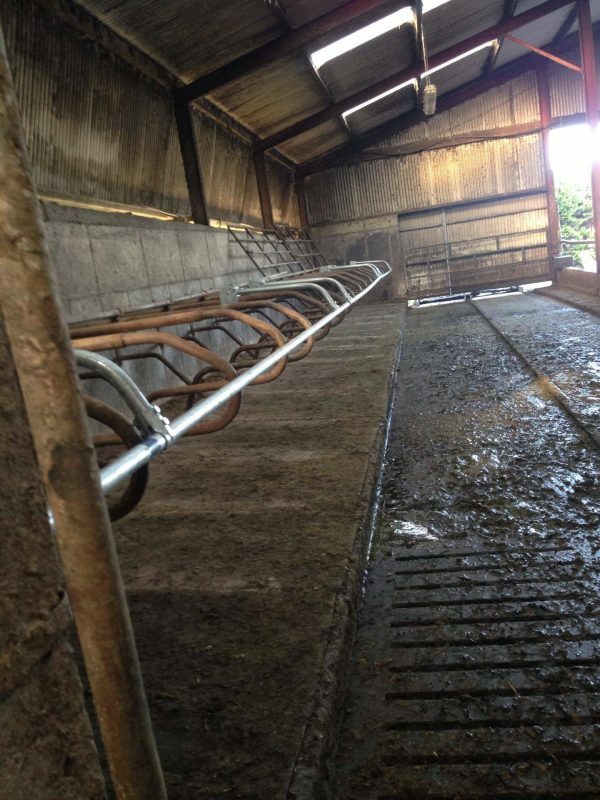 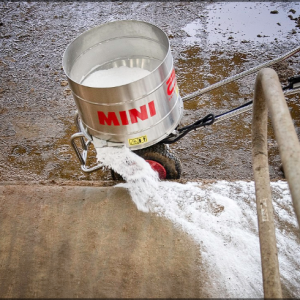 This system can also keep cubicles clean after washing and reduces the udder getting dirty which will reduce the chance of mastitis. 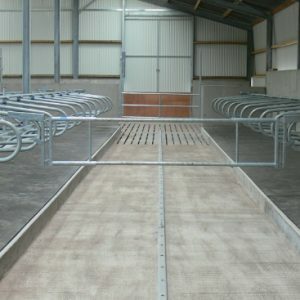 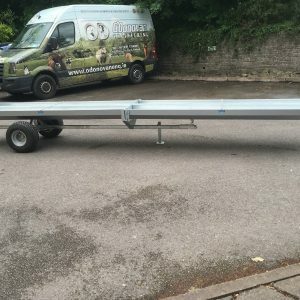 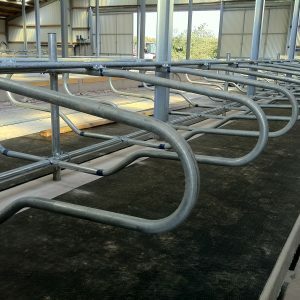 The pipe needed is 48OD, A 6m lengths can block 5 cubicle spaces. 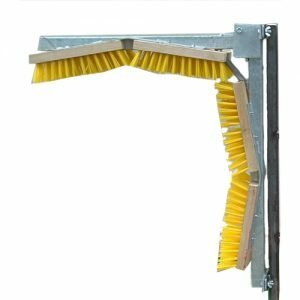 This Cubicle Lockout Arm system can also keep cubicles clean after washing. 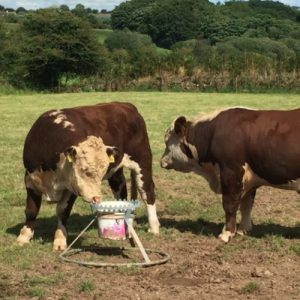 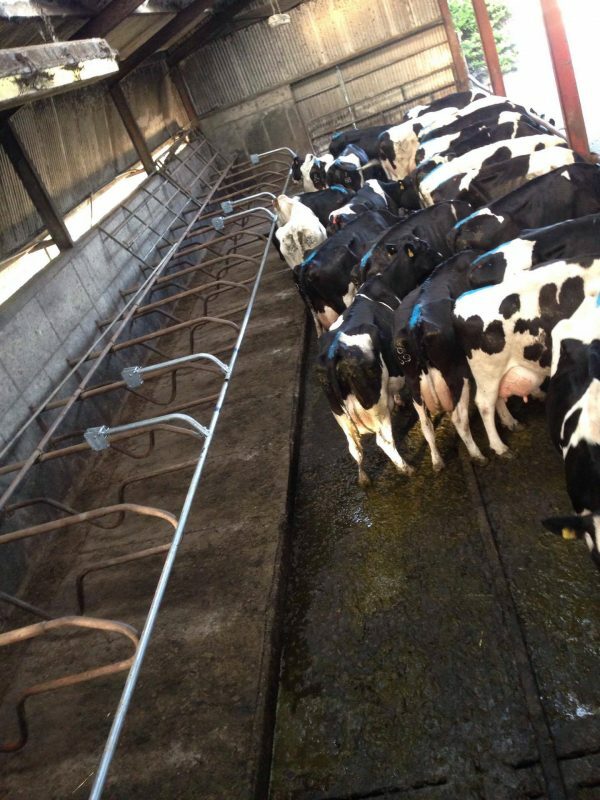 They can also reduce the udder getting dirty which will reduce the chance of mastitis. 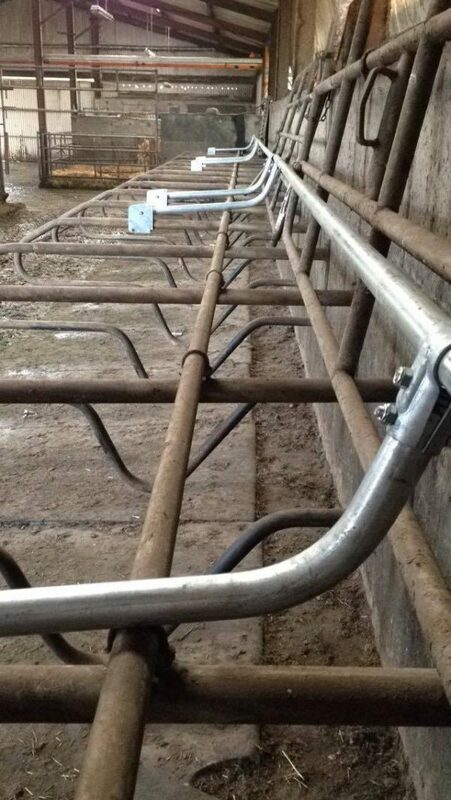 When you do not want to block the cows from the cubicle bed you simply hinge the pipe back out of the animals’ way and lock it in place. 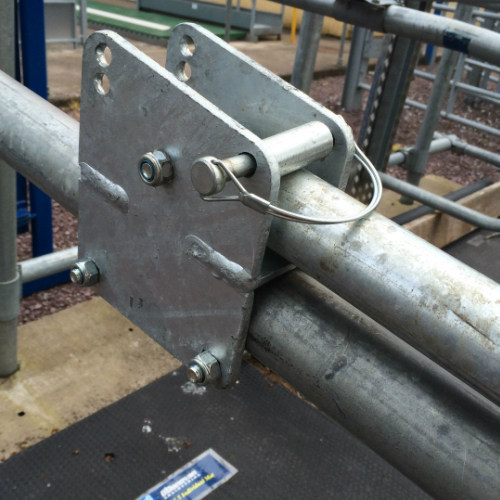 This locking mechanism ensures that the lockout will not fall down and lock a cow into a cubicle space. 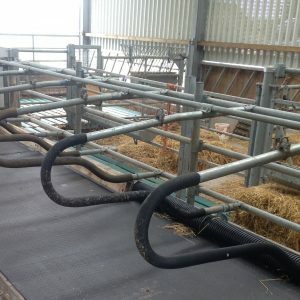 Likewise when the lockout system is positioned down it is locked to prevent a cow from moving the pipe and entering a cubicle. This system makes it easy to run cows through a cubicle house and hurries up the milking process.